PR and marketing firms are stuck between a rock and a hard place. Edit Wikipedia on behalf of your client and risk breaking the law or joining a long history of publicly humiliated organizations. Tell the client there is nothing that can be done, and you ignore arguably the world’s most important website, while inviting client do-it-yourselfers to add their corporate kool-aid to Wikipedia. For many marketing professionals, there is mounting pressure from a boss or client to edit Wikipedia and seemingly no way out of a bad situation. Here’s five ways to convince your client or boss that anonymously editing Wikipedia is not the best route. Wikipedia’s rule that marketing professionals disclose our “conflict of interest” and use Talk pages may also be the law. The Federal Trade Commission’s guidance asks marketing professionals to disclose our affiliation with the organization in online communications. In Germany it was found that a CEO’s edits to Wikipedia was an illegal form of covert advertising, even though he disclosed his affiliation with the company on the Talk page. While the FTC hasn’t taken a stance on the issue yet in the US, it’s certainly legal/ethical hot water most organizations don’t want to dip their toes in. Even months or years after a company posts promotional content on Wikipedia (which they may have thought was neutral) it’s routine for Wikipedia’s editorial community to add negative information (sometimes unfairly) to help “balance” the page. Once companies have already created bad blood with Wikipedians, it’s very difficult to earn that relationship back or correct the problem. In general, Wikipedians will do what it takes to discourage bad behavior in an efficient way. Companies edit Wikipedia anonymously often because they didn’t know there was an ethical way to participate. 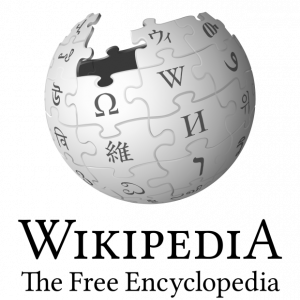 Over-simplified media stories and a lack of general education have led to the assumption that any participation on Wikipedia is unethical and therefor must be done in-secret. When companies learn that there is an ethical path by doing PR and content marketing with the site’s editors, rather than astroturfing the page, most companies will take the higher path. Why would anyone put their reputations at risk, jump into legal/ethical hot water and anger Wikipedians just to take a shortcut in doing it properly? The level of credibility Wikipedia has with its readers is on a per-article basis. Some articles are well-sourced, neutrally written and high in quality; this makes them credible to readers. On the other hand, Wikipedia’s readers routinely tell me that they can tell when they found a self-written promotional page and they are quick to dismiss it. Companies think they have succeeded when a glowing Wikipedia page is created, but all that’s been accomplished is turning Wikipedia into another of the 200 advertising messages bombarding people every day that are largely ignored. The guardians of many company pages on Wikipedia are journalists, analysts and customers, especially in B2B or niche areas. Companies that violate Wikipedia etiquette and do things that anger the editors on their page are often rubbing their largest customer or closest analyst the wrong way. Because of Wikipedia’s anonymous model, the company will never know the harm they’ve done. I could name a few companies that think they’re getting away with something, but many of their users are talking about their Wiki activities.